Today, you are ready to move on in some area of your life. You’ve done all that you can do here, you’ve learned your skills and completed this stage, and now you are no longer an apprentice. You are ready to practice what you know in the real world. The Journeyman is embarking on a new phase of life. 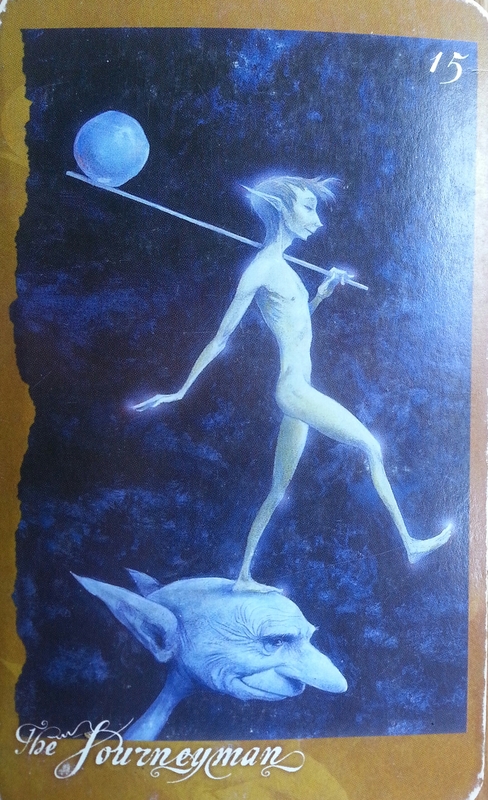 He bears his burdens lightly (he holds the Moon on a stick over his shoulder), and he steps off jauntily, secure in the knowledge that his Fairy Godmother looks after him. The Journeyman is cocky, free and not at all concerned with safety or security. He has his wits, he is awake and alert and ready for anything. Contact me to find out how you can receive a reading in person or over Skype. Card readings are enlightening and fun! You can get your own copy of the Faeries’ Oracle here. bee on Website issues: blog is back! Copyright © 2019 EarthMatrix Blog. All Rights Reserved. The Magazine Basic Theme by bavotasan.com.